The Roots are one of the best groups in hip hop history, released this album after their dope "Rising Down", and I personally feel this one is a classic. The opening song is an intro of sorts, just full of singing and harmony which leads to the "Walk Alone" track with a truly infectious hook as Black Thought, Dice Raw, P.O.R.N., and Truck North combine for a flawless track. The first single from the album is the dark, brooding "Dear God 2.0", which spoke to me at the time of release. The song features some honest lyrics from Black Thought, most of which I related to. The Blu, P.O.R.N., and Dice Raw assisted "Radio Daze" is a funky hip hop fest, where all MCs come with their best rhymes to create a smooth transition from the previous darker song. Phonte comes with a solid verse on "Now or Never", as the vibe changes from dark to more hopeful. The hooks throughout this album are all pretty infectious and give every song a different edge than usual with Roots album. The album's best moment to me is "The Day" as Blu and Phonte both contribute guest verses and they are two of my favorites so this was absolute greatness. Both MCs along with Thought came with heat. 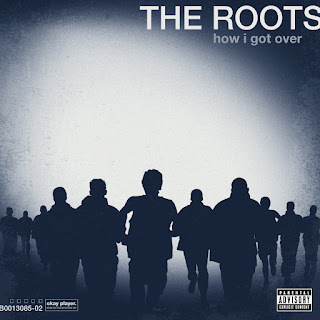 I found it funny that The Roots sampled John Legend's song for "Doin' It Again" but it was truly a good song and very entertaining to listen to. They follow up with John Legend actually appearing on "The Fire", the following track. I have always loved the live instrumentation that the Roots have used and this was no exception. The whole album was solid throughout production wise. The final songs were a bit more upbeat, but still fit perfect in the cohesion of the album. This was one of my favorite albums the year that it dropped, and it's still a great listen from beginning to end. Revisit this album and enjoy. Don't sleep on The Roots. Ever.